International departure taxes of $158 is included (subject to change). Today, we depart Baltimore International Airport to connect with our flight to Mexico City. On arrival we will meet our tour manager and enjoy a brief orientation tour of Mexico City. Afterwards, we transfer to our hotel for our “welcome” dinner and overnight. This morning, following breakfast, we celebrate Mass at Tulpetlac Church, the site of the 5th apparition of Mary and site of the healing of Juan Bernadino. Afterwards, we visit Cuatillan, the birthplace of Juan Diego. Following lunch on our own, we spend the afternoon visiting the Shrine of Our Lady of Guadalupe, the Patroness of the America’s, where the original sackcloth of Juan Diego hangs above the main alter as testimony of Our Lady’s miraculous appearances. Dinner and overnight at our hotel. 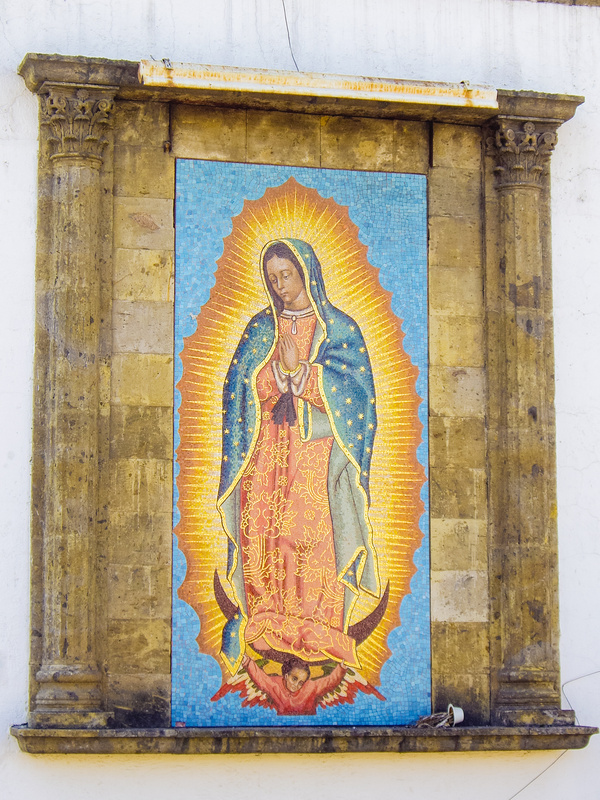 This morning we celebrate Mass at the Shrine of Our Lady of Guadalupe followed by time for prayer and reflection. We then visit the El Pocito Church and continue to the San Juan Market for lunch on our own, browsing and shopping. Afterwards, we journey to the Pyramids of Teotihuacan - “Place of the Sun and Moon,” the Temple of Quetzalcoatl and other fascinating structures important to the native culture here. Our lunch here is included. We return to Mexico City for dinner and overnight. Following Mass at the Church of San Francisco, our full day visit here will include the Metropolitan Cathedral, the National Palace and the Anthropology Museum. Lunch is on our own during the day between visits. Dinner and overnight at our hotel. Following morning Mass, we leave Mexico City to the colonial city of Puebla and its Pottery Works. We visit the Cathedral, the rosary Chapel, the Casza del Alfenique and return via Cholula, with its famous pyramid and 365 churches, one for each day of the year. We return to Mexico City by mid-afternoon following our included luncheon. Dinner and overnight at our hotel. We begin our day with Mass at Del Carmen Church and continue to Coyoacan and the San Angel areas. Following our included lunch, we make our final visit to the Shrine before returning to our hotel for dinner and overnight. This morning, we make an early departure from Mexico City and travel south to Cuernavaca, the City of Eternal Spring. Here we visit the Cathedral and the famous Borda Gardens. We continue to Taxco, the famous silversmith city of Mexico. Our included lunch is followed by free time to enjoy the area on our own. We then celebrate Mass at Santa Prisca Church and enjoy a sightseeing visit of Taxco before returning to Mexico City for our “farewell” dinner and overnight. Following breakfast we transfer to the airport for our return journey home, with memories of a lifetime.